If frightening credit card fraud statistics have scared you away from shopping online, consider making purchases with your credit card without giving online merchants your real account number. Some credit card companies, including Citibank, Discover, and Bank of America, provide temporary, disposable numbers to use when you shop online--"virtual credit cards"--so you can protect your real account information. And here's some good credit card news: The service is free. Identity theft was the top consumer complaint in 2008 and credit card fraud was the most common form of the reported crime, the Federal Trade Commission says. And among online crimes, credit card fraud ranked No. 3, according to the Internet Crime Complaint Center. You sign up for a virtual credit card number on your credit card company's Web site. Sometimes you need to download software--each company's system differs slightly. When you're ready to shop, the credit card company generates a disposable account number, which can be used once or multiple times with the same retailer. You can choose the expiration date--as long as it's before your card's real expiration--and the purchases you make with the virtual number show up on your regular statement. By using a virtual credit card, the only people who know your real account number are you and the folks at your credit card company. • You can't use a virtual credit card number to make purchases in stores, where plastic is required. • You shouldn't use virtual credit card numbers to purchase items that require credit card verification later, such as airline or theater tickets. • You can use temporary card numbers for recurring payments, but only if your credit card issuer lets you set the expiration date far enough into the future. Bank of America's ShopSafe program, for instance, lets users set expiration dates on virtual card numbers for up to one year after getting the numbers. 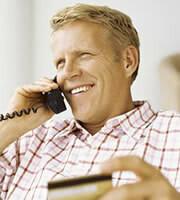 • Not all credit card companies offer virtual credit card accounts. Ask your issuer if it provides the service. Using a virtual credit card adds another step in the online shopping process, but that little bit of extra time it takes to log onto your card issuer's Web site provides peace of mind, which can't be measured. 0 Responses to "Virtual Credit Cards For Safe Online Shopping"